Description: Use these Beadalon Crimp Covers to conceal already-crimped crimp tubes and beads. Simply use the Might Crimper's outer notch to close over a crimp tube or bead to finish your design for a professional look. 4 mm (.157 inch). Gold. 20 pc. 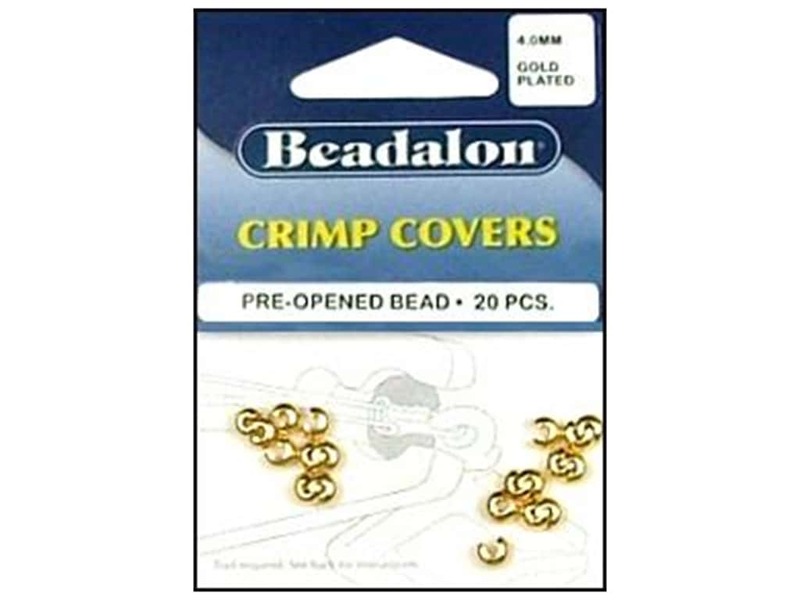 See more Beadalon Crimp Covers.